The U.K.’s Liverpool School of Tropical Medicine’s (LSTM) Department of Vector Biology received a $2 million grant from the Bill & Melinda Gates Foundation for a research program to establish test protocols for development of vector control products, according to the University of Warwick in Coventry, England, which also is involved in the research. The methods used to evaluate the performance of new products and their impact of insecticide resistance are limited to “basic laboratory tests,” the University of Warwick says in a news release, which is why the new research aims to test effectiveness of the mosquito control products in the field. 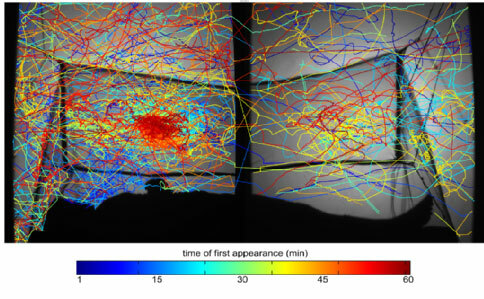 An infra-red tracking system shows the flight paths of multiple mosquitoes as they attempt to reach a sleeping human protected inside an insecticide-treated bed net. The image shows the high concentration of activity on the roof of the net, above the torso of the sleeper beneath. The research team, led by LSTM professors Philip McCall and Hilary Ranson, aims to develop a more robust and biologically relevant approach to mosquito control that will define how a specific product is likely to function. A group from the University of Warwick School of Engineering led by professor David Towers also is collaborating on the research. 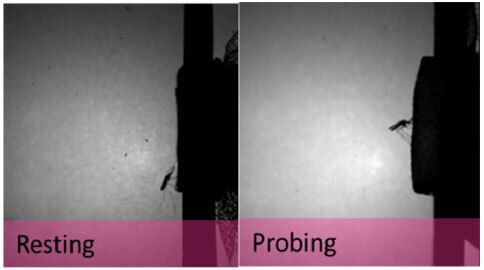 The team developed camera systems that allow observation and quantification of detailed aspects of a mosquito’s behavior. Behavior is recorded as it starts to feed on a human through an insecticide-treated bed net. “We hope the use of video-tracking and associated data analytics combined with the significant expertise at LSTM will lead to better understanding of vector control approaches and hence significantly improved products to combat the spread of malaria throughout Africa,” Towers says. The project is founded on technological advances the team developed during their previous collaboration on the European Union-funded Avecnet Consortium for African vector control, ongoing research funded by the Medical Research Council, and a new Wellcome Trust-funded collaboration on Malaria in Insecticide Resistant Africa (MIRA). Joelle Harms is the digital media manager for PMP magazine and its parent company, North Coast Media. Harms can be reached at jharms@northcoastmedia.net or 216-706-3780.